Parents and “Jessie” fans will be excited to see Peyton and Karan in new episodes on Disney’s highly acclaimed short-form series “Pass the Plate” which originally aired in 2008. The series is designed to broaden kids’ understanding between nutritional food and how it is grown and used throughout the globe. Parents will enjoy watching the episodes with their children and engage them in conversation. We watched them here at MMTVN and learned some new things that changed our views on bees and goat ranching… if only we could get some goats! Be sure to watch for these episodes which are about 3 minutes in length, you’ll be glad you did! 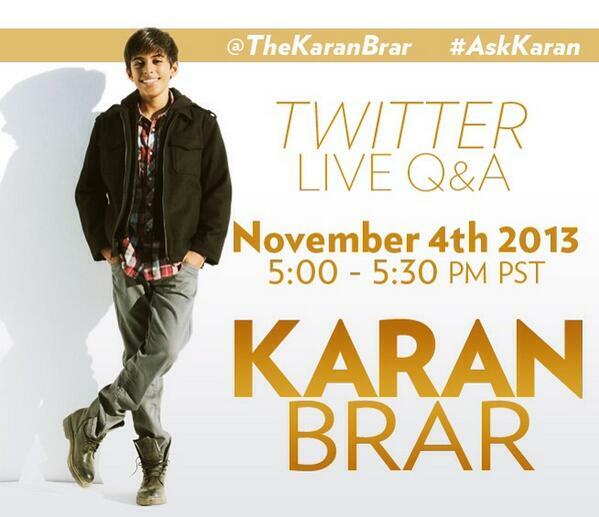 Be sure to tell Karan how much you liked seeing him on Twitter and shout out to Peyton on hers. Check out the latest on the series Jessie on the Disney Channel here. The duo will be seen in six different installments where they visit the Slide Ranch outside San Francisco, Mariposa Creamery in Altadena, California, the Green Bronx Machine in New York City, The Plant in Chicago, and Mariposa Bakery in Oakland, California. Each episode covers different topics including bio-integrated aquaponics system, the preservation of honeybees and their essential role in agriculture, how community members cultivate urban gardens in small spaces, one farm’s goat ranching and cheese production and how gluten-free food ingredients can contribute to health and well-being. Be part of this year’s Mamapalooza 10th Anniversary Festival in Manhattan on Sunday May 22nd, 2011. Please take a moment to submit your project for this family friendly, outdoor event at one of New York City’s premier outdoor spaces at Riverside Park So, home of Summer On The Hudson. Some compensation. As part of our ongoing effort to highlight the acheivements of Mama-Artists, we are grateful for your $12 submission payment to help us offset the costs of reviewing each submission. In addition, for the same fee, we’ll enter your project into our search for music for Mamapalooza’s 4th Compilation CD. Due out spring 2011. Follow up your submission by sending your music to: PO BOX 210 Hastings On Hudson, NY 10706 and we’ll play you on our weekly MingleMediaTV Show!